Need to upgrade your gaming hardware in preparation for Crysis 3? 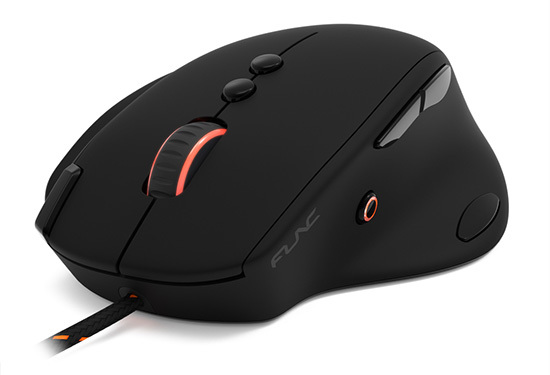 Then how about this: we've teamed up with Func to give you the chance of winning one of five MS-3 Gaming Mice! With Grip Intelligence™, the MS-3 is ergonomically designed to minimise hand strain and stress in order to allow you to keep your eyes focused on the screen and not your grip. And with unique T+4™ thumbzone button placement you're guaranteed accurate gameplay through easily-accessible buttons that are optimised to avoid miss-clicks. We've got five MS-3 Gaming Mice to give away - each worth £60! - but we're feeling extra generous so we're also giving each of our five winners a free Func Surface 1030 XL mousepad! The Surface 1030 XL features a large tracking area to help eliminate the risk of 'out of bounds' movements, and the dual-sided design gives you a choice of two surfaces; each offering a unique experience of traction, consistency and precision. Need some help? You'll find the answer over on the official Func homepage. Oooo nice :) Goodluck all. Really nice. I've used two 1030s since 2004, they are very hard-wearing and still track nicely. Just the occasional wash and scrub. Not the biggest prize, but Func do quality gear.